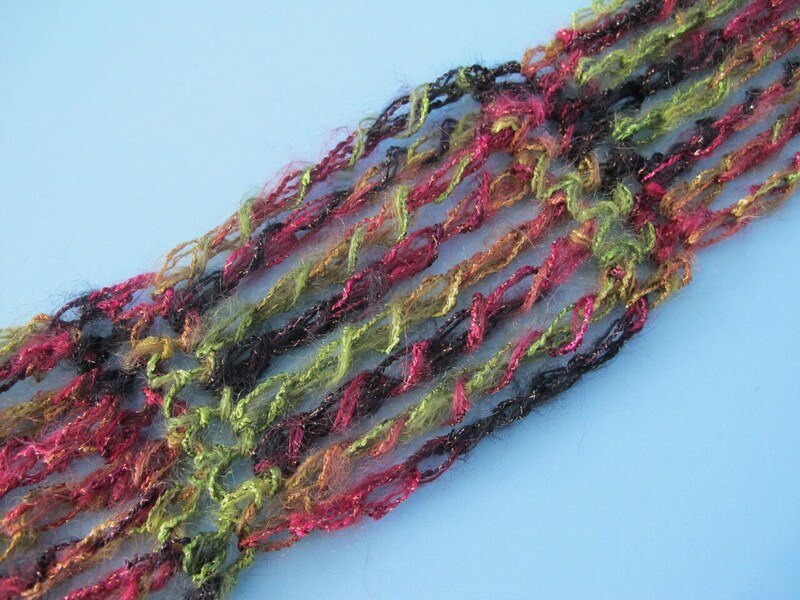 The Longstitch Express is a high-speed crochet pattern and a fun one at that. 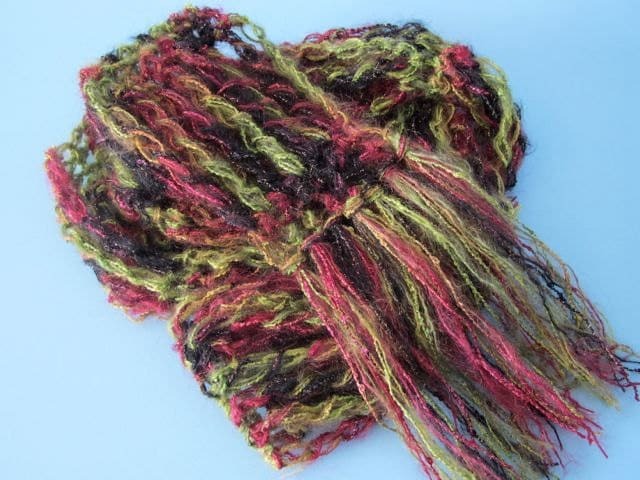 This scarf is the perfect opportunity to showcase a beautiful handspun or novelty yarn. You’ll love the laid-back look and you’ll be thrilled at how fast you make it to your destination, or in this case, the last stitch! Finished scarf measures 6.5 ft. (2 meters) long not including the fringe and 4 in. (10 cm) wide. The length and width can be easily altered to any specifications. 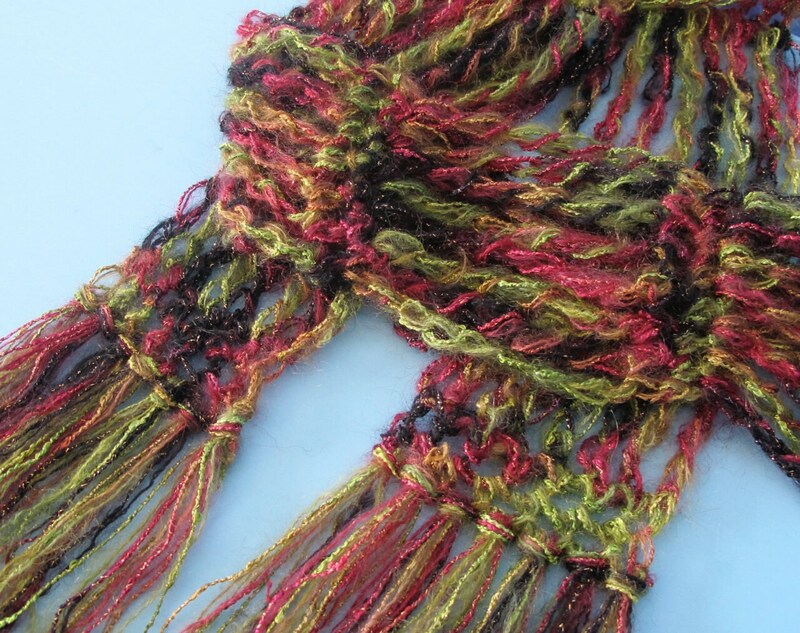 This purchase is for The Longstitch Express scarf pattern only. It does not come with the scarf pictured here. I hope you enjoy making The Longstitch Express!